Today, I get to share an awesome giveaway for my readers! It is provided by Too Faced for being selected as a BBOM for January. Please read and carefully fill out the Rafflecopter form accordingly for any and all entries you would like to be included in. As usual, all entries are subject to moderation if the rules are not followed. There are two mandatory entries for this giveaway. First, leave a comment on this post telling me what Too Faced products you would like to buy if you win. Next, confirm your entry with the Rafflecopter widget. Second, be a subscriber of mu-tokki through one of the following networks, whether it's GFC, twitter, or facebook. Don't forget to enter your name or alias when the Rafflecopter widget prompts you for it, otherwise I won't be able to confirm your entry. Giveaway will close at midnight on January 25th, then the winner will be selected and contacted. If the winner does not respond within 24 hours, their prize will be forfeited and another winner will be chosen. congrats to Emily for winning the giveaway! 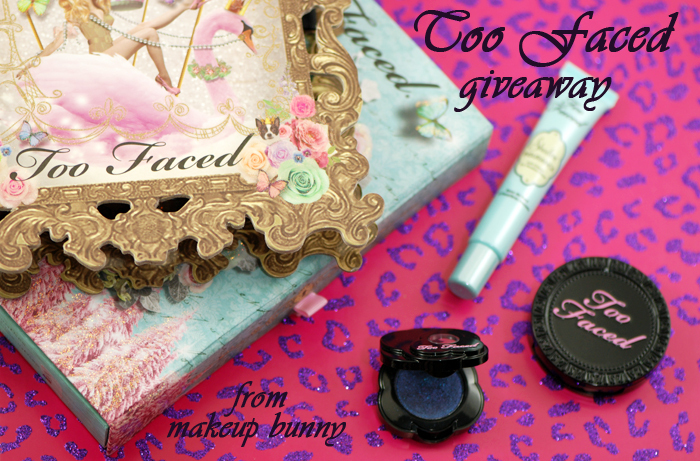 Disclosure: We are not affiliated with Too Faced and are not compensated in any shape or form for hosting this giveaway. Prize was provided by the brand in association with their BBOM program.